Sunday, again, had its ups and downs. We had a fill in guide because David had to take a law school exam. Asaf Salomon was our fill in and we really lucked out. He does all of the VIP tours of the western wall. 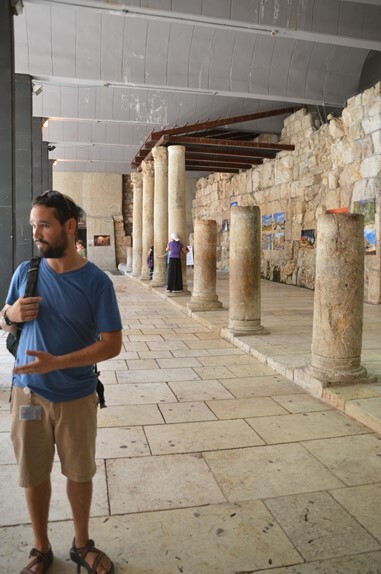 When Pope Francis visited Jerusalem, Asaf was his tour guide. He told me that next week, he is guiding the Rolling Stones! He knows more about Jerusalem and the old city than most people. He met us at the apartment and we took cabs to the old city. We began with a little intro to the history of Jerusalem and then we started our tour walking on the walls of Jerusalem. It is quite amazing to see the tiny paths that the soldiers walked to guard the city. Thank God we had railings! When we got to the Zion gate we walked over to the Tomb of David site to see the view of the city that was the closest Jews could get to the Kotel until 1967. As we came into the old city, we had our second encounter with someone we know! We came back through the Zion gate and there with their guide (JJ Jonah, the person who set up our trip!) was Michael Diamond and his family! His twin girls were with Shayna at Ramah this summer and one of them in her bunk. I am sure that the Diamonds and Nava Kogen will not be the only ones we meet up with! We then went into the Jewish quarter and learned about some of the different sites. 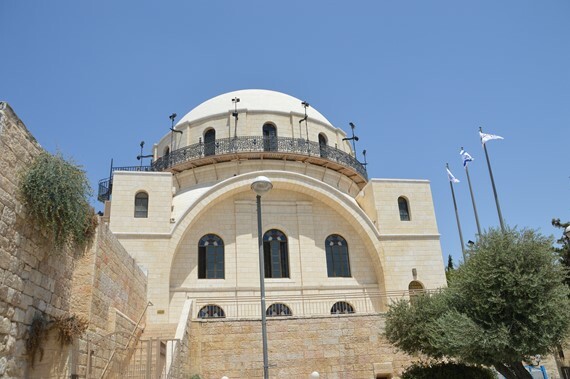 Marsha and I had never seen the rebuilt Hurva Synagogue, and we are not sure it is even something that should have been rebuilt. Years ago, you could only see the single arch they had built as a memorial, but now the whole building. The Hurva Synagogue. The arch you see was the memorial and for years the only part of the building rebuilt. Next we went to the cardo the main roman street that ran through the old city in the time of the Romans. At this point Avi began to grumble so we quickly bought a gift and then went to lunch. As we walked toward the Archeological park in the old city Avi finally had enough. Marsha and Noam went with Asaf in, and I took Avi back to the apartment in a Cab. I was able to run in, leave Avi, get a new battery for my camera and get back in the cab that waited for me. I made it back to the old city within 40 minutes or so and then I caught up with Marsha and the kids. 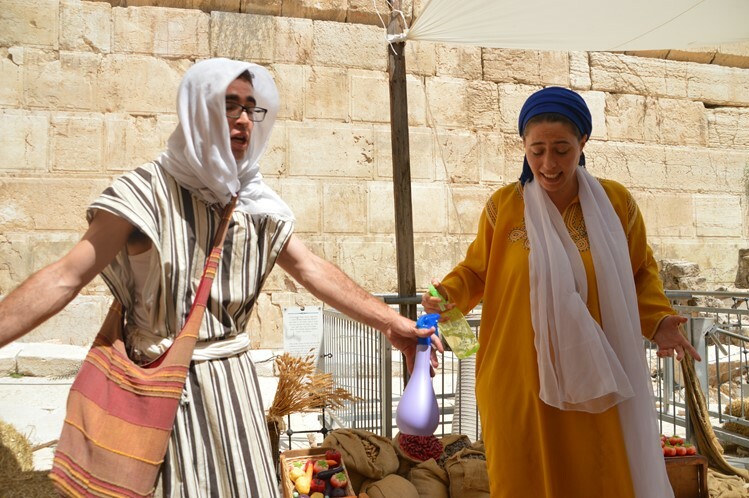 We stayed a little longer in the park and heard a bit about Kings David, Solomon and Herod, and even had a chance meeting with a couple of “pilgrims”. We saw the Kotel and the western wall tunnels after that. 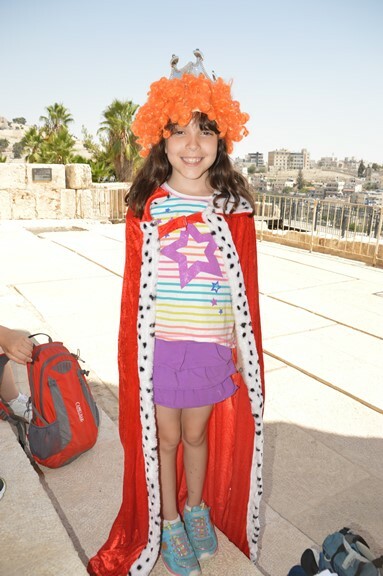 I think the kids really learned something and they definitely enjoyed the kotel tunnel. We left the old city and went to pick up our rental car for the rest of the trip. Here I found that you need your passport and visa to get your car! I had to take a cab back to the apartment, get the passport and visa and cab back. Way too many cabs! In the past, your visa was a stamp in your passport. Now it is a separate piece of paper you have to keep with your passport. I miss the older method! 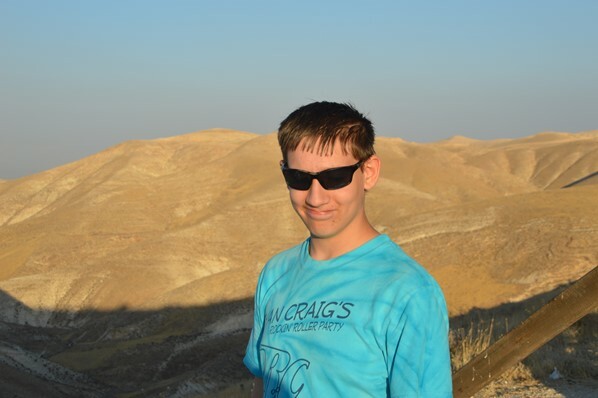 This morning David was back and we drove to Masada. We left at 8:45 and everyone told us we were nuts for going so late because it would be too hot. Well, they were all wrong. It certainly was hot, but it was not too hot and there was a nice breeze on the top of the mountain. 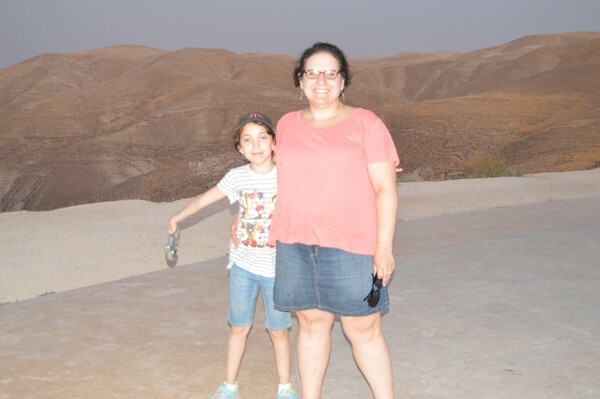 This kids seemed to take an interest in the tour on Masada and even Avi was asking questions. 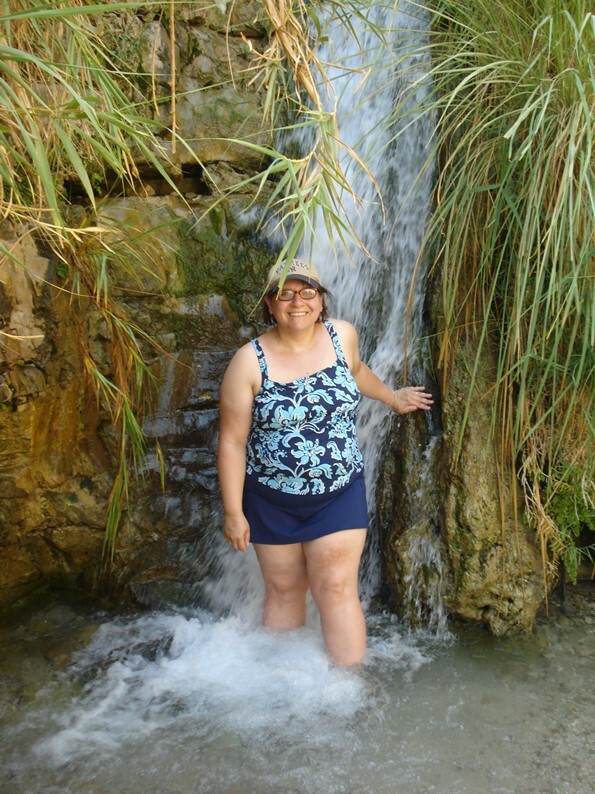 After Masada we went to Ein Gedi, the famous desert oasis. Avi did not want to take a hike to the spring so he stayed at the main entrance and played video games while the rest of us took a hike to the spring. We even met a family from East Brunswick on the way in. 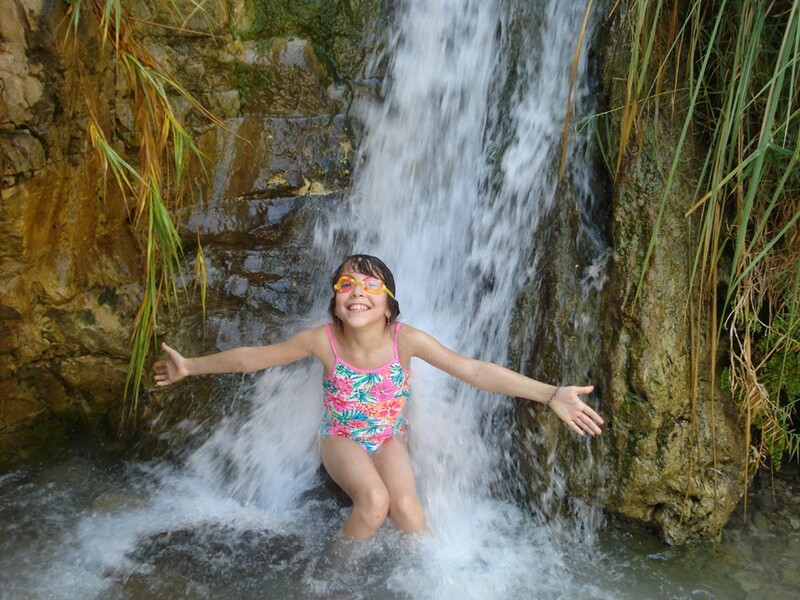 The water was so cool and everyone had a great time in the water. 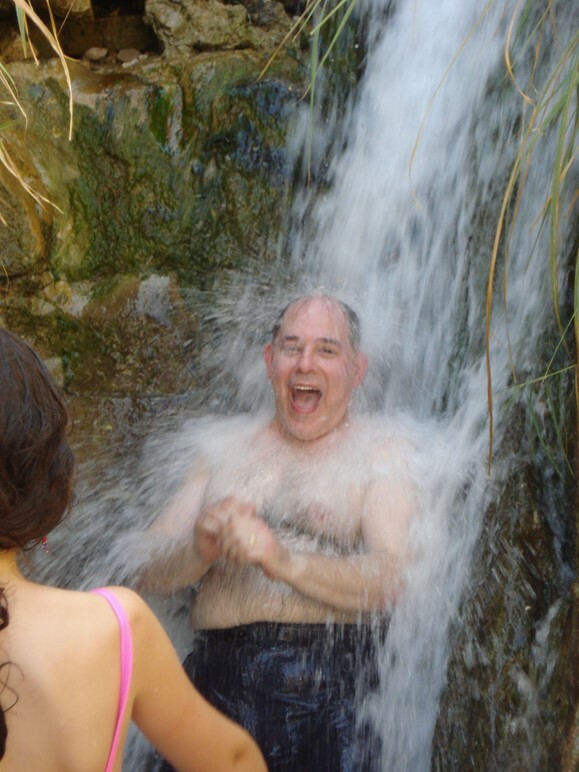 After Ein Gedi, we went to the Dead Sea for a very quick float. Avi was looking forward to this. His orthodontist is running a contest for the kids to brush their teeth in interesting locations. There are great prizes. Avi decided to brush floating in the dead sea! 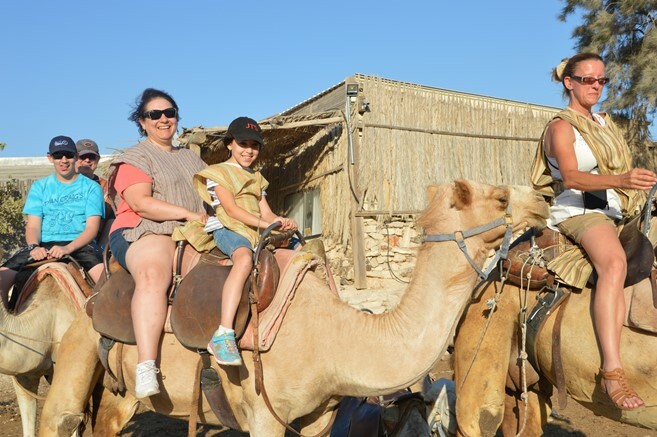 Finally our last stop was Genesis Land were we rode camels to meet Avraham and have dinner in his tent. The camel ride was fun (and a bit scary at times) and the dinner was excellent! If you come to Israel, I recommend coming here. All in all it was a great day and all of the kids had a good time. Tomorrow it is off to the north for two nights. Hopefully the wifi will be good enough for me to post from there.